Yesterday at work I picked up an old issue of Vice which includes the most amazing editorial I've seen in ages, featuring thousands and thousands of ladybugs crawling all over a bunch of babes. There's something aesthetically pleasing about how the bugs gather; I'm really enamored with this spread, and not just because it reminded me of my favorite craigslist posting of all time. If you're into these, be sure to watch the accompanying video from VBS. Ooh, they did this on America's Next Top Model a few seasons back with bees. This, of course, is ten times a better shoot. And yes, best craig's list post ever. 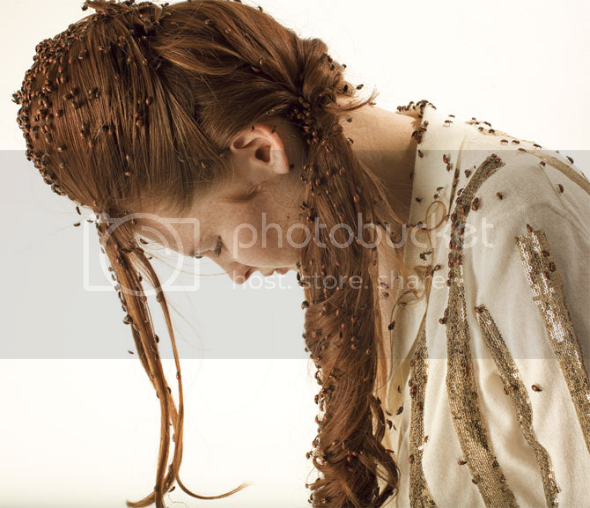 Looking at these has me feel kind of itchy, as if those bugs are on me! Amazing photos. love the photos, would hate to be one of the models! Once again a great post. I'm looking for guest bloggers at the moment, so if you'd be interested I would love to hear from you. Hahaha, wow! 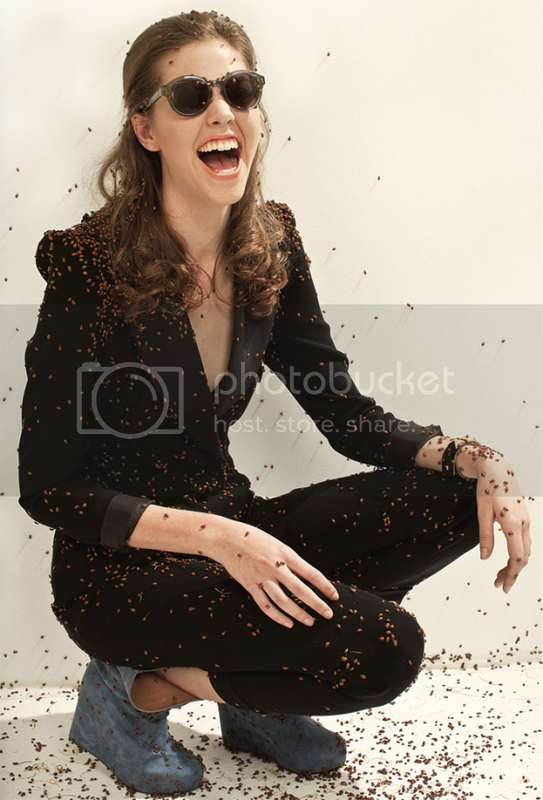 I thought those were coffee beans at first. I also checked out Amazon, and you really can buy 1500 live ladybugs for only $9! Crazy!